HomeResource CentreShould I buy or lease an office photocopier? How to decide which option is right for your office. If you're looking to secure a new office copier and not sure whether you should buy or lease, you've come to the right place. It's easy to spend hours vacillating between the two choices, especially when you consider that changes to technology mean that copiers and printers are constantly being updated. It's hard enough to wrap your head around all the different features on today's digital and multifunctional models without wondering how long until a newer model will replace them. The good news is that these advances in technology mean that today's copy machines are incredible office assets. Most can scan, copy, print, fax, download and email as well as sort, staple and store information. They offer all sorts of features that can cut help costs and improve productivity such as wireless connectivity, image editing and signage printing. To find out more about the different types of digital and multifunctional copiers we have available, enquire online or call [phone] to speak to one of our friendly technicians. But let's return to the question at hand: when it comes to saving money and adding value to your office, it is better to buy or lease a copier? Both options come with a range of pros and cons, including tax incentives, maintenance issues, depreciation and costs. This guide will help you figure out what these pros and cons are, and how they might impact your office budget. Different offices can have very different needs. If you're on the fence about whether buying or leasing a copier is the best option for you, these considerations will steer you in the right direction. Zero paperwork. When you take out a lease, you usually have to provide detailed, up-to-date financial information. When you buy a new piece of office equipment, you just walk out the door with it or have it delivered. The deal is done, and there's no interest to pay for goods or services. Tax incentives. Your new copier is tax deductible for the first year of purchase, whereas if you lease a copier, you can only deduct the amount of the monthly payment. Flexible control. When you buy office equipment outright, you gain the ability to do whatever you want with it, without adhering to a lease's specifications. In other words, you call the shots re. maintenance and aren't at the mercy of the leaser when things go wrong. You can hire a technician from wherever you like to repair it or replace malfunctioning parts. No contracts. This goes without saying. When your office purchases a copier, there are no third-party providers involved or fine print to sign off on. Initial expense. The upfront expense of purchasing a new copier is a lot for some businesses to absorb, especially smaller ones. If you require a highly-specialised industrial office copier, then buying instead of leasing can leave you with less money for other office necessities. Most machines with high production capabilities cost thousands of dollars, and this can leave a considerable dent in your budget. Repair/replacement costs. Copiers can be pretty pricey to repair out-of-pocket, and when your purchased printer ceases to work effectively, it's up to you to rustle up the money. Sooner than you may think, your copier will become outdated, and it may be hard to sell secondhand. Lack of standardisation. If your office is one of several, and each office buys their copier equipment on a needs-must basis, then it can become hard to scale costs and performance levels across each branch. When purchasing options aren't unified, different offices can end up using different technology, and this makes achieving consistent outcomes across the business more challenging. Low upfront costs. Leasing your copier gives you a pre-determined monthly line article which can allow you to budget more effectively. It can also preserve credit and allow you to keep up-to-date with your competitors without breaking your bottom line. Leading technology. As mentioned above, the evolution of office equipment is going almost too fast to keep up with, and this extends to copier printers. Leasing keeps your equipment up-to-date, and once your lease expires, the obsolete machine is only the problem of the lease provider. Sheer convenience. With a lease, you pay nothing upfront and acquire sophisticated technology that might be otherwise unaffordable. You never have to stress about resale or disposal, and there's often a buyout option if you decide you absolutely love your leased copier. Plus, lease terms generally don't change, even if you add more equipment to your existing lease. More expensive. Obvious, really, but the cost of making monthly payments over a set term can really add up. Ultimately, you'll pay more in the long run when you lease a copier, regardless of the terms of your agreement or which type of copier you choose. You're also obligated to keep paying for the full term of your lease agreement, regardless of whether you continue using it or find it to be good value. Binding contracts. If you're not sure exactly what you need in a copier or how much it will be used by people in your office, it's easy to get stuck with a lease for a copier that is either above or below your expectations. 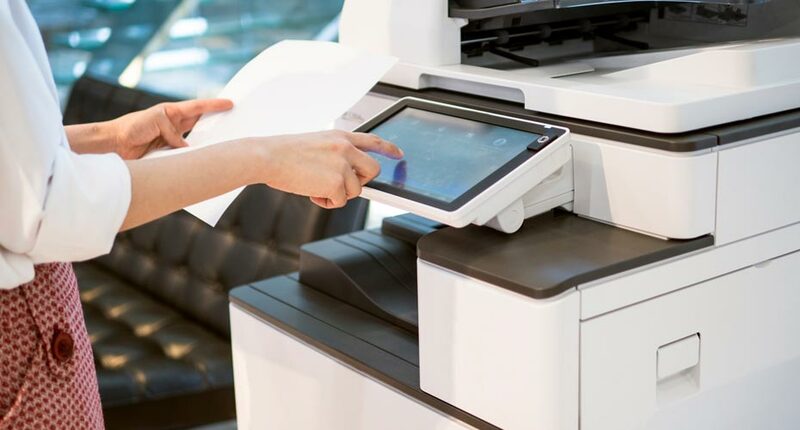 If your office's printing and copying needs evolve, what initially seemed adequate may no longer fit the bill, and you may find you want to upgrade to newer technology sooner than you expected. Being locked into a lease can be a real hindrance here. As you can now appreciate, the question of whether you should buy or lease is a multifaceted one. It depends on a range of factors related to the individual needs and running costs of your office. 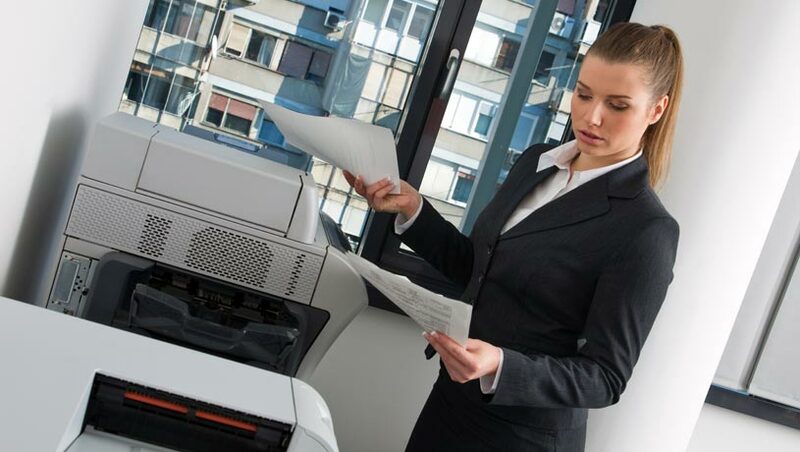 Whether you want a simple streamlined copier for basic black-and-white printing or a high-powered model with multiple features for binding, collating and stapling, you should weigh up the pros and cons of each option before making a final decision. At Copysonic, we can help you with the decision-making process using our 25 years of experience in the copying and printing industry. Whichever brand or model you choose, you can be confident that our team will help you get the most favourable terms for a lease or the best deal for a purchase. There are tax implications for both buying and leasing printers, and our team can talk you through a few more simple rules of thumb to help you decide whether to buy or lease. Contact us today on [phone] to chat to one of our friendly technicians about your office copier needs.